HoR Has yet another Merge! 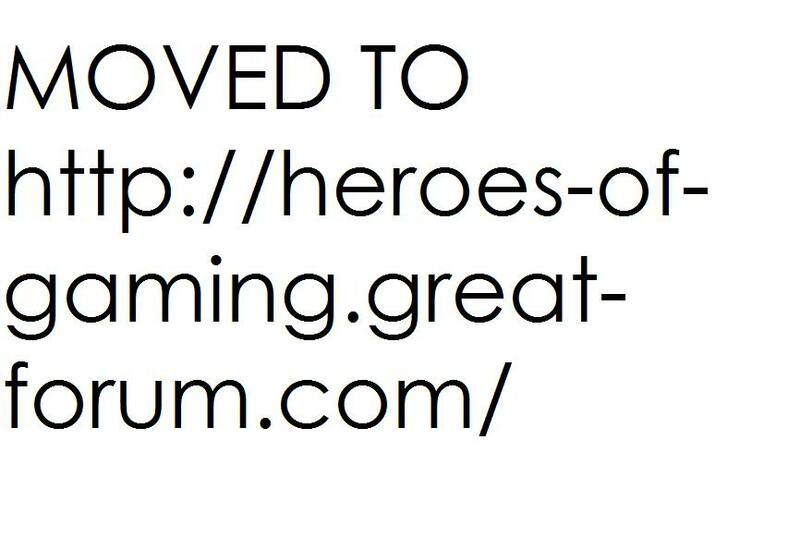 MOVED TO: http://heroes-of-gaming.great-forum.com/ » News Area » News » HoR Has yet another Merge! Today, Tennis, ADubs and I discussed a Merge. KoA has officially now become part of HoR (Effectively as our Subordinate) and Tennis will be Co-King once again with me. This will likely change a few things here, with a second king that means I am no longer the full control, as I now share it equally with Tennis once more. Thus, we will be discussing the HoR reforms and hopefully, they will be out by the middle of this week. Good luck to the new King and our Subordinate Clan! Master Hades it is an honor and a great pleasure of mine to once again stand by your side as co-leader and King of HoR, as I have once before a long time ago. It feels right to me. I will do my best to assist you in upholding HoR, its morals, and AoM and its community. I am looking forward to being here once more. I never thought it would happen... Oh well. I support this decision, even though I wasn't so involved with clan politics. Tennis, if you have any KoA members who have proven themselves exceptionally capable in most aspects of RP, send them to me for a chance at becoming HoRH. That is a good point Yankee..
As KoA is a subsidary of HoR is may be possible to establish a similar variant of the HoRHs there, however it is now ADubs who makes that decision. I will send him a message about your idea, and perhaps this could make a very strong link between HoR and KoA, seperate from the Subordinatery. Yankee I look forward to working with you in the upcoming future I have with HoR! Ok, I have to correct myself. I understood this as a full on merge with HoR like RoK did. Although, seeing as KoA becomes a subsidiary to HoR, Hades has a point. We should establish a similar variant of HoRHs instead of turning a KoA-RPer into a HoR-RPer. I am assuming KoA already has a method to acknowledge exceptional RPers. If this is the case I would like to announce this rank in the HoRH Minor Reform as a sister-rank. Although before that can be arranged, I would have to check the requirements for this KoA rank to make sure both ranks have a more-or-less equal standard. This would be to avoid any misunderstandings. Is there a similar agreement with KoA like the one with RoK that allowed members from both sides to switch to an equally powerful rank on the other? Lava being my example here. DRP that was, we used to have that ability. Once again I can speak to ADubs but it did kill off DRP when it happened, so it is not likely to go ahead. Again it is not our call on how KoA will be ran, but it may make KoA and HoR relate alot more. I will message ADubs and ask him to post the requirements for each KoA rank, although Tennis will know them well unless ADubs plans to make changes. I do not believe at this point ADubs will be making that many changes. He just got into the whole solo leader business, which is a large transition for him. A few minor changes have occurred however. Dend, formally from ToR, has joined KoA as General Dend. ADubs has also named General Smoothie as Chief of Staff in KoA. He is still General though, he just keeps track of the member list. Dend was charged with interclan affairs. I do not believe pushing a HoRH movement towards KoA is ideal right now. Having said that, I do believe measures should be made to bring the two clans closer in relation. Well as part of the next reform we will be removing the 'Advisor' and 'Supreme Advisor' ranks in favour of an Advisory Council, to become part of it you must be chosen by a King or Prince, alternatively we could merge this into KoA and make it a joint project. It will have more effect into HoR but allowing ADubs to choose KoA members into it and have access to use the Advisory Council may bring us alot closer. That would be a good idea. I would suggest that the council from HoR have Master ADubs and either one or two reps from KoA join for council meetings. I would suggest ADubs and Dend. I would also suggest Smoothie for this. If so we would have our 3.
Who are the HoR members in the council? Yankee I was wondering the same... but I'm new here so I wouldn't know anyway lol. I wasn't sure if Hades already has chosen council members or not. It seems strange to me that the KoA side has been decided before most HoRs have even heard about any details. Ah yes, that is probably because Tennis has thought of them - it is still ADubs's decision who would join the advisory. You have all provided good loyalty, activity and provided alot of assistance within the commune, whether you realise this or not. However there are other users I can consider for the role so do not take it that you have definately got the part. You are just the 3 I have in mind right now. Mittyho is a new addition as I used to have Vult, and instead my thought pertained to Mittyho, who has been here longer and provided support more frequently. However this does not also put Vult out of the picture either. The former me who didn't like the idea of joining a clan would have turned down the nomination/suggestion for advisor, but seeing as how much HoR has brought the whole commune together and what influence it actually has, I have seen what a clan can really accomplish. For this reason, I would accept the positon if it is also offered to me. I still wish to remain more on the side of the RPers and the commune and less on the clan politics, because I understand little of it anyway, but I am always ready to help support the commune and clan when need be. I would have to agree Hades. I've known Mittyho and Lava for quite some time, and I know they are very good clan members. Also, no offense to Yankee, I just dont want to say anything because I don't really know you. (if that makes sense) but from what I hear and from what Hades has told me you are a very good clan mate to have, which leads me to agree that you would be good for the council. Why Thank You. Well... I have spent most of my time in RoK and haven't been in HoR long, But it's nice to see that i'm recognized already within the clan. I will gladly accept. I would suggest letting Hades finish and publish the Reform containing the information about the Advisory Council before we start settling all the details. Yankee I have decided to confirm your position within the Advisory, upon the reform being posted you will be briefed upon what will change. Effectively you will be representing the HoRHs and the community, as you are the strongest link to it. This will likely be published tonight with Tennis helping me to fine tune this idea. Thank you. I will try my best to do what is expected of me. I would like to support your decision to add Lava into the Council aswell, seeing as he is as active as I am on AoM and he also has a big influence in the commune. 26 Re: HoR Has yet another Merge!